Most people don’t like wasps. Wasps sting and as a flying insect, they are unpredictable and menacing. 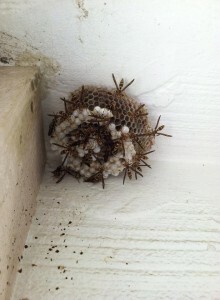 They often build paper wasp nests under eaves and doorways near home entrances. Sometimes homeowners do not realize that wasps have taken up residence in the exterior of their home until they observe wasps flying around only to look up and see an established wasp nest. When did that get there? 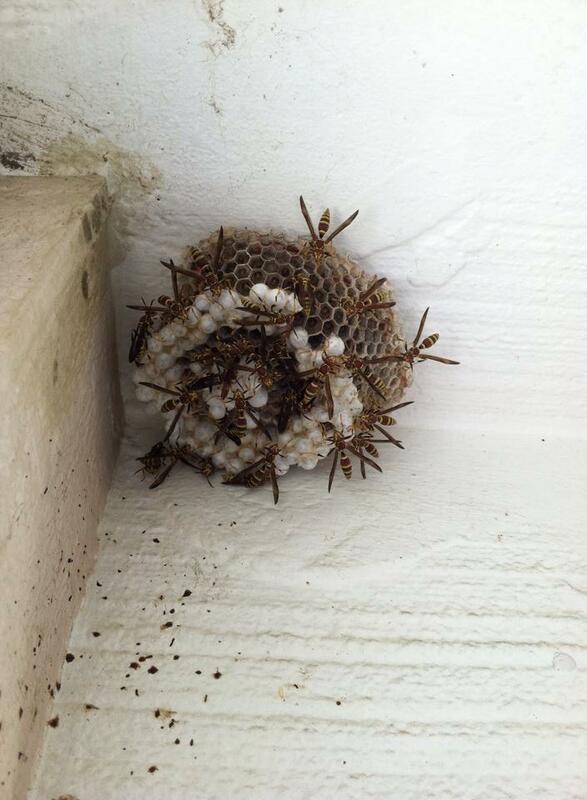 Wasps build nests in eaves and structural hide-aways. According to Pest World, stinging insects, including wasps, send more than 500,000 people to the emergency room annually. Experts advise that wasps are most active during the day and return to their nests in the evening. Wasps are also visible during the later part of the summer months and early fall when wasp colonies forage for food to sustain the nest over the cooler winter months. A wasp pest control service is easy to schedule by calling AmeriGuard Pest Defense at (951) 652-0505. Your wasp pest control technician will inspect the complete exterior of your home and all doorways and eaves to ensure that all wasp nests are thoroughly treated. If you are on a regular general pest service with AmeriGuard Pest Defense, your home will be under year-round guarantee for general pests, including wasps. Our technicians will pay close attention and will safely knock down any wasp nests during your regularly scheduled service.